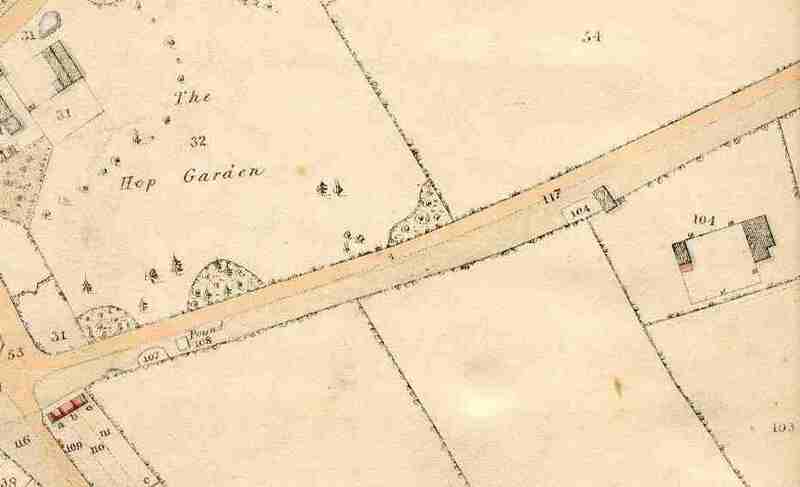 Cross Lanes Farm is shown at No. 104, with an out-building right on the edge of the main road. Note that Church Lane is now re-aligned towards the east, emerging opposite No. 107. This view shows Greensward Lane towards Cross Lanes Farm. Church Lane is now aligned differently.